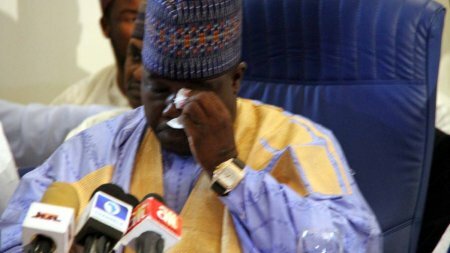 Governor Ayodele Fayose of Ekitis state has called for the expulsion of controversial ex-national chairman of the PDP, Ali Modu Sheriff from the party. According to him, Sheriff has caused more harm than good. "Sheriff should be expelled", he said in an interview published by The Punch. "Sheriff, by his action – if you see the peace that pervaded this country after the (Supreme Court) judgment, you would see that there is peace without Sheriff. If it had gone the other way round, many people would have left the PDP. Nobody has left the party after Sheriff lost the judgment. It seems PDP is not ready yet to stand as a united party, you people don't know that their APC agents in your midst to create disorder in all things. Hmmmm.